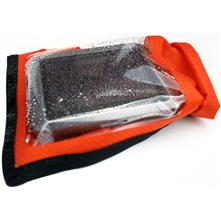 Aquapac is making it safe to take your cell phone with you. 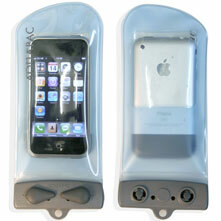 Receive clear signal and sound right through the waterproof case. 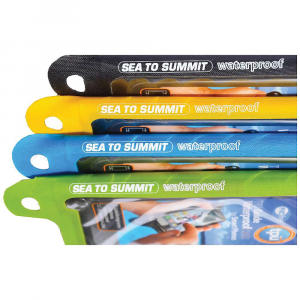 You can even take pictures without exposing your phone to the elements.All Aquapac waterproof cases are PVC-Free! 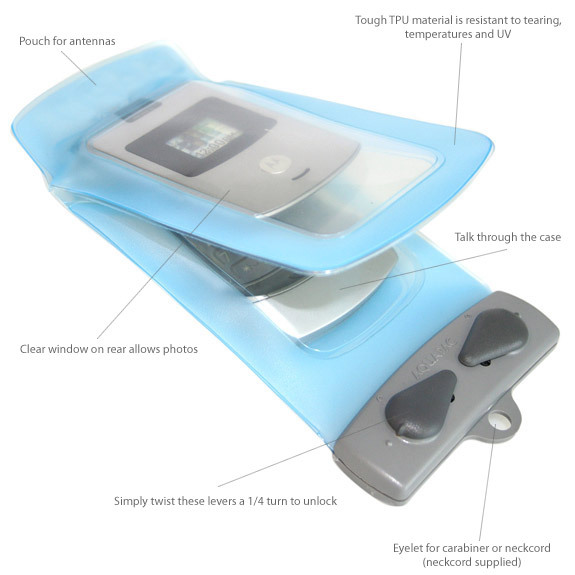 Now made from Polyurethane (PU) - 100% recyclable, thinner, stays flexible when it's cold, easier to operate equipment inside the cases.Sound and signal pass right through Aquapac's casing, enabling your phone to function fully while staying protected.Clear front and rear panels allow you to take pictures and video footage with your camera-integrated phone as normal.100% waterproof - guaranteed submersible up to 15ft / 5m, keeps out dust and sand too.Will float safely when dropped in water.Padded rear for extra comfort and protection.Comes with carabineer and neck cord.Will hold phone 8" in length (open) and 6" in circumference. 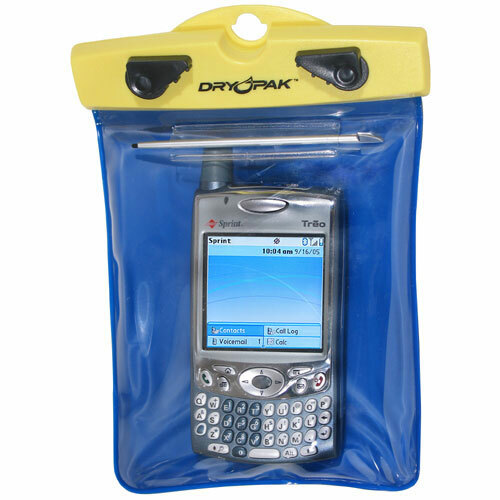 The Flip-Phone Waterproof Case has been discontinued. 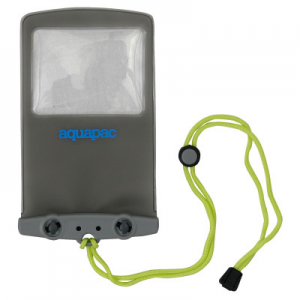 The Aquapac Flip-Phone Waterproof Case is not available from the stores we monitor. 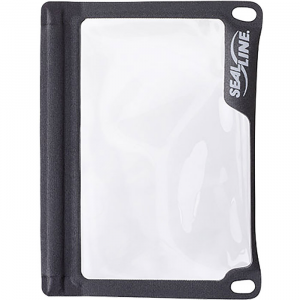 It was last seen May 18, 2012	at NRS.